As an avid equestrian, I have been riding and been around horses for nearly my entire life. I started in the saddleseat show rings learning how to best present the notoriously hot-blooded Saddlebred horses and myself to judges for the better part of five years. After a while, the circles of the ring all started to look the same, and I made the decision to pull my horse and myself out of the show ring and the world of competition as a whole. I turned the newly christened ex-show horse out to pasture and watched him rejoice in his newfound freedom contrary to his previously stalled life. Eventually, we both began to feel the pull of competition again, and I began to look for other avenues for us to compete in. I stumbled upon a video on YouTube and some articles on this equestrian sport called endurance, and began to research more when it grabbed my interest. 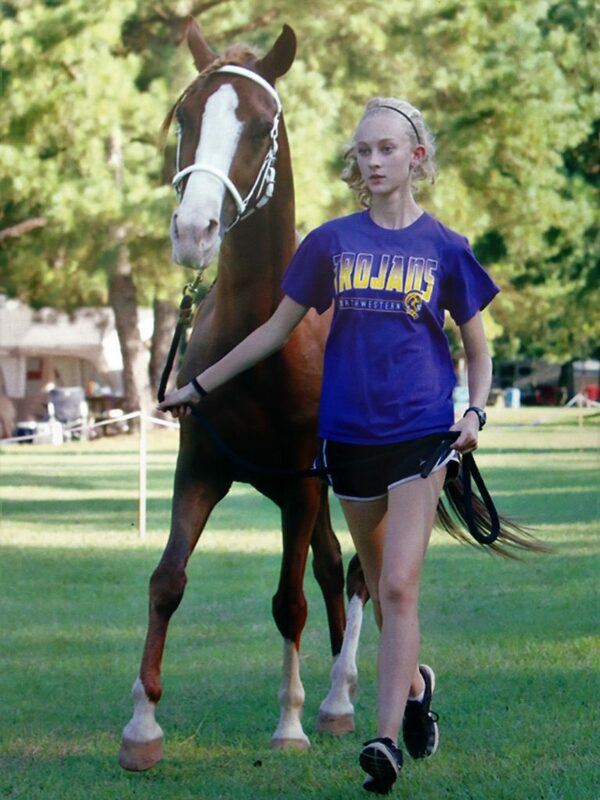 Though the vast majority of endurance horses are Arabian horses, it was actually my own cant-walk-down-a-trail-like-a-normal-horse-to-save-his-life Saddlebred that pulled me into endurance in the summer of 2014. As my Dad put it when I presented my findings on endurance to him, “That horse might be just stubborn enough to do an endurance ride”. So we packed up our two buckets, one sponge and my quirky Saddlebred for our first ride, and never looked back. That first ride led me to meet some truly wonderful people who have taught me more than I could have ever imagined, some even taking a role similar to a mentor to me, about riding and welfare of the horse, and have even given me the opportunity to ride some of their own equally wonderful horses. I find myself now competing at a level of competition that I thought I could never possibly reach, and though each competition presents new obstacles to overcome and scenarios to plan for no matter the distance, I can truly say that I can’t imagine where I would be without having stumbled into this amazing community of people. I am especially lucky to have the support of my family through all the madness and the long hours of training and preparation that each ride requires. Though I enjoyed the ribbons and the show ring, I believe I have found a sport that I can invest myself in and truly enjoy all aspects of, from the family environment and camaraderie of the AERC sanctioned rides to the higher stakes of the FEI sanctioned events that satisfy my competitive drive. Each ride adds to my ever-expanding knowledge of endurance riding and equine health, and though I realize I will never know everything there is to know about endurance, I will satisfy myself with striving to become the smartest and most effective rider I can be. I am proud to be a member of the Southeast Endurance family, and I look forward to working towards even greater things in my future as an endurance rider.